Official provider of luxury Caballo Lake boat rentals, jet skis, waverunners, water sport boat tours and lessons. This reservoir on the Rio Grande River in southern New Mexico, United States and a highly used location during the summer months for re-creationist. 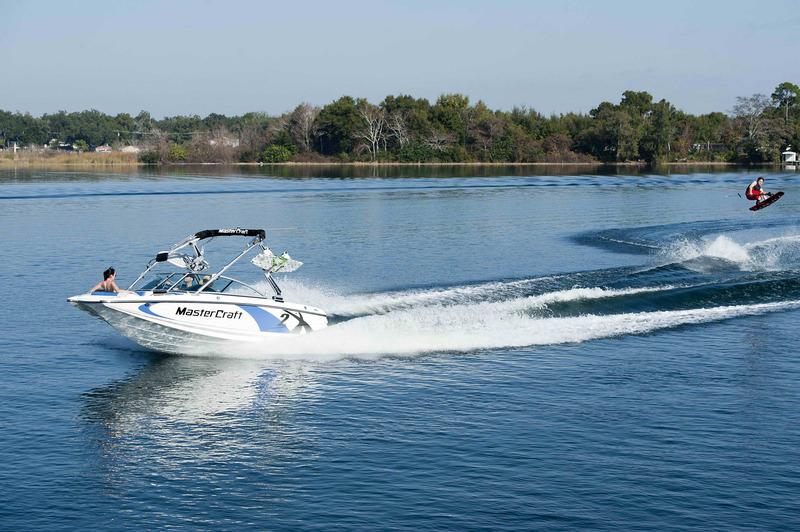 It is the fourth largest reservoir in New Mexico in terms of surface area crating a great opportunity water skiers, wakeboarders, and tubing. The lake is in Caballo Lake State Park, which is approximately 16 miles south of Truth or Consequences. The lake is used for recreational activities, such as boating, swimming, wake surfing, and fishing. Fish in the lake include bass, catfish, crappie, and bluegill. Caballo Lake is named for the Caballo Mountains that border the lake to the northeast, east, and southeast, in which wild horses roamed. The upper area of the lake is very shallow and in recent years has been blocked from the lower, deeper end of the lake. The water has a slightly brownish hue from a distance, due to the shallow waters about 75 feet at the deepest point. The beaches of Caballo are rocky when compared to Elephant Butte Reservoir, but there are many sandy areas to enjoy a picnic with family and friends.